On Wednesday, September 5th, at approximately 8:57 am, deputies from the Barstow Sheriff’s Department responded to the area of Hwy 58 and Dixie Road following the report of a deceased person at the location. Deputies confirmed the victim was a deceased male. 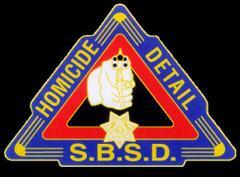 Deputies requested the assistance of the Specialized Investigations Division – Homicide Detail. Investigators responded and assumed the investigation. The victim was identified as Jaime Hernandez. At this time, no suspects have been identified and the investigation is ongoing. Updates will be provided as additional information becomes available. Anyone with information related to this investigation is urged to contact the Specialized Investigations Division-Homicide Detail, Detective Oscar Godoy at (909)387-3589. Callers can remain anonymous and contact WeTip at (800)78-CRIME or www.wetip.com.